If you have missed the last two parts to this story click here then here to get up to date before reading the conclusion. So, I am with my patient and her mother in the back of my Rapid response car and I need to make my decision on what to do. I have really enjoyed reading all of your comments. Some of you have suggested the very same thing that I actually did, and some of you may feel I made the completely wrong call. However, the reason why I write posts like these ones is to show some of the clinical decision making that being a Rapid Response paramedic brings. Any human cannot make right decisions each and every time a choice has to be made, but in this case, I am confident and happy that the choices I made were based on sound clinical rationale and with the understanding of the demands on the service at that time. Once I realised where my backup was, I had to decide whether I wanted to stay and wait or just go to A&E. Neither were particularly attractive choices for me to be honest. I really felt that I should be moving towards the hospital, but I didn’t want to have to stop again and make a decision to call for backup in a few minutes time, I wanted that Ambulance on the way to me now. This left me with just one other option, one that a few of the commenter’s suggested, but one that is not a common thing to do in the UK – Ask for an intercept from an Ambulance. I got back on the radio and asked for the Ambulance to travel ‘Cat A’ from the hospital, down a specific path towards my location. At the same time, I would head off on ‘blues and twos’ to meet up with them on route. I took the time to explain what I was doing and more importantly, why, to mum. I checked on her daughter one more time and told her to let me know if anything happened that she was concerned about. She appeared to be sleeping soundly by this point, and I ensured that she was in a position which kept her airway open whilst being supported for the journey up to the hospital. I had a quick look for veins and then decided that due to fact that I had access to rectal diazepam as well as IV, then I wouldnt spend more time trying for a cannula whilst I could be moving to definitive care. Mum was happy with what was going on, so off we went. Approximately 5 minutes later, I rendezvoused with the Ambulance and the decision was made that I would just jump onto the back of the Ambulance with her so that we could just head straight off and there would be a continuation of my care. No further seizure activity occurred and we arrived at hospital with no further incident to report. So, the question is, did I do the right thing? In this case, I really don’t know. Based on initial patient presentation, I honestly believe that it was safe and correct to transport mother and child in the car, rather than take another resource off the road which may be needed for transporting a much more critical or immobile patient. However, even though the chance of further fits was, and is so small in a patient who has been presumed to have a febrile convulsion, whose temperature has now returned to below the danger level, I do question if I would transport a similar patient in the car again. After all, I would be a fool if I didn’t learn from times when things didn’t quite work out as planned. This is another one of those cases which comes down to individual clinical decision making, and it is one of those jobs that makes you really think about what you are doing and what may happen. Sometimes, what we do involves a certain amount of risk assessment, if we don’t automatically default to the transport via ambulance for each and every case. If you said, go for the ambulance intercept, then you did the same as what I did. If that was the right choice to make is for you, my peers, to comment on. Thanks for all the comments on these posts. It really has made for very interesting reading for me. I appreciate them all! « My nomination for Fire/EMS Blog of the Year. A very wise man once told me, “Emergency medicine is not a science; there are no absolutes. It is however an art form, and each practicioner/provider will have to make their practice work FOR them within a defined set of peramiters.”This was a good exercise, and a good call on your part. I too spend alot of time re-playing incidents in my head evaluating my actions and decisions. Unfortunately, I am my worst critic, but it does help for me to receive consrtuctive criticism and feedback at times. I just feel it makes me a better provider. The thing that must be taken foremost by the reader is the simple fact that they are not there. The reader does not get to see the patient like you do nor any of the other nuances of the situation. Therefore, the reader cannot condemn your actions as the full picture is not there. Given the information that you provided and the resources that you have at your disposal, I would have done the same thing.Caring for a patient never follows strict established rules; thy are constantly changing. In this situation, you very well could have had the ambulance transport and afterward discovered that there was no need just as easily as the possibility of nothing occurring with transport in the RRC. I don’t think that anyone could question your judgement Mark. (Let’s face it, I’m hardly in a position to do that!) Your judgement was yours to make and you reasoned it well – it was sound. Other people may have used equally good reasoning and come up with a different answer – neither they nor you would be wrong. How was the nipper, or did you not find out? BTW, any chance you could set some dilemmas that a CFR or First Aider may come across, that would possibly also be a challenge to a paramedic? Difficult I know, but it would be really good and I could use them for practice for the First Aiders where I work. 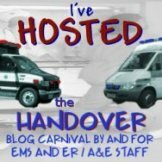 I have really enjoyed this series of posts – I hope that you have other scenarios to share with us in the future as they are great to read.First of all, I should say that as a mere medical student I have never even been near a situation where a decision such as this has to be made, and therefore I am probably a bit out of my depth in commenting. Having said this, I don't see why I shouldn't share my opinion with you, even if I may be completely wrong.What puzzles me is this. If you had the PR diazepam on the RRV and therefore were fully equipped to deal with another seizure, what was the benefit in calling for the ambulance at this point. You said in a previous post that you were 10 minutes away from the hospital. Now she is stable again and post-ictal, why not just rush her off to A&E? The transfer from RRV to ambulance must have taken a few minutes, and it seems to me that in doing this the net result was that it took longer to get the child to hospital.Like I said, I am way out of my depth here and just putting ideas forward. But it would be interesting to hear your explanation, just as much for my education as anything else! Hi There!,Thanks for the comment. I appreciate comments from all areas. You dont have to be medically trained to offer an opinion so as a Med Student your thoughts are very welcome here!I think the decision to move and rendevouz comes with the realisation that the situation changed from my inital assessment and impressions. If I had arrived on scene and had witnessed the seizure and had been told this was her second seizure, there would be no way that she was coming in the car.I could have run all the way to the hospital, but I wanted to be able to devote my full attention to her as soon as possible, but without waiting at the side of the road, waiting for the ambulance to travel to me, only to have the same distance to go back.At the time, she was out of the fit and sleeping, so I wanted to get the best of both worlds. Move to the hospital and get her on an ambulance ASAP. I may have had IV/PR Diazepam, but we all know that they dont always work, and even when they do can cause profound respiratory depression. Not a situation to have in the back of a car.Situations change! Thats what makes paramedicine so fascinating to me. Thanks again! Thanks Scott!Just like you said mate! Hi there and thanks for the reply.I see your point. I hadn't really considered that diazepam isn't without its problems and I can understand your reasoning for getting her to an ambulance ASAP.It certainly is an interesting case though and I hope that you have more to share with us in the future. Thanks for sharing this one with us, Mark. Can I echo the request for more, please? It's the best way to improve my skills without actually being there.Actually, I was there once. Child with a history of seizures. Found them post-ictal, parents had administered diazepam. Parents did not want to go to nearest A&E, but more distant one at hospital where child had previously been seen in neurology, so that their records would be available (a sensible decision, given the non-joined-up state of NHS IT) – thus ambulance transport was out. I took them in my car with another responder in the back, pulse-oximeter on patient, oxygen available. When I arrived at the hospital after a sedate drive with what I thought was a stable patient, I looked round and the child was in the middle of another seizure. We whipped him into A&E and on the way out I asked my colleage why he hadn't told me so that I could have gone a bit faster. I don't recall his answer, but I think it definitely was the wrong decision under the circumstances.